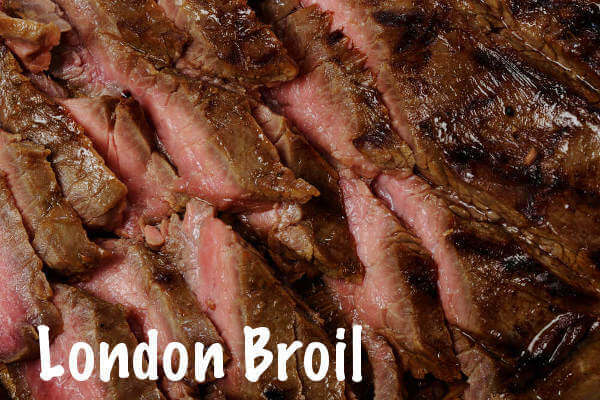 London broil, commonly made with flank steak, requires London broil marinade to add flavor and moistness. Other cuts that can be marinated and cooked with this beef marinade recipe are top round and tri tip roasts. The trick to cooking these beef cuts is to bring them up to medium rare, and no more. Of course, after they reach the target temperature, it's important to let the meat rest for 20-30 minutes before slicing and serving. Mix together all ingredients but the oil. 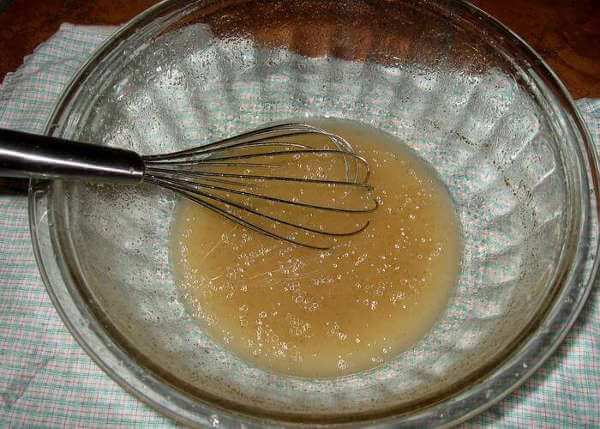 Slowly add the oil, briskly mixing with a whisk to form an emulsion. Pour the beef marinade into a gallon food storage bag with the beef. Marinate for 4 to 6 hours before smoking or grilling. London broil is best served medium rare. Use the following temperature chart for guidance. After resting, slice the meat at an angle and across the grain for the ultimate in tenderness and flavor.